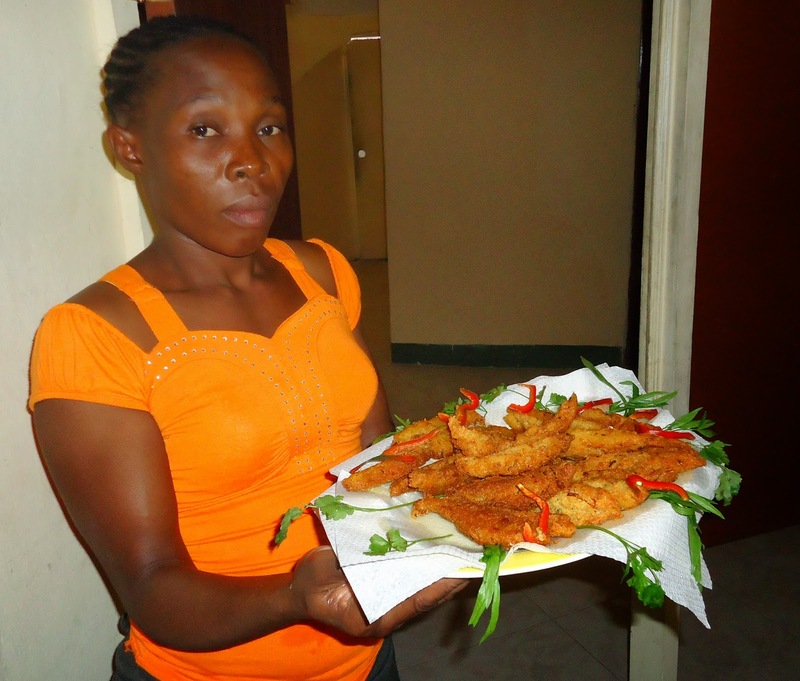 Try this favourite Haitian dish that can be eaten as an appetizer or a side dish. But be warned -- preparing malanga root is hard physical work! Never heard of "malanga root"? Don't let the name throw you! 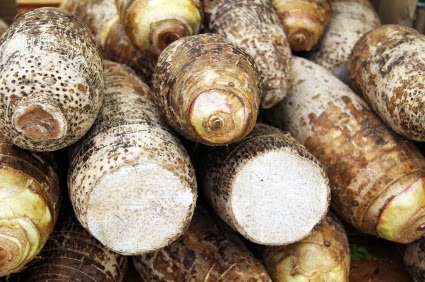 Just ask for taro root at your local grocery store. A cautionary word to the sensitive palate: the "hot Scotch bonnet peppers", i.e. 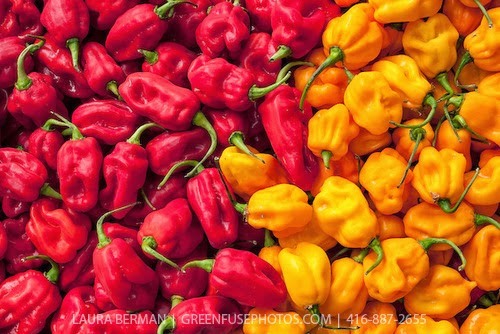 a variety of the chili pepper, are ferociously hot...but have excellent flavour! Alternatively, you can choose a milder chili or jalapeno pepper. 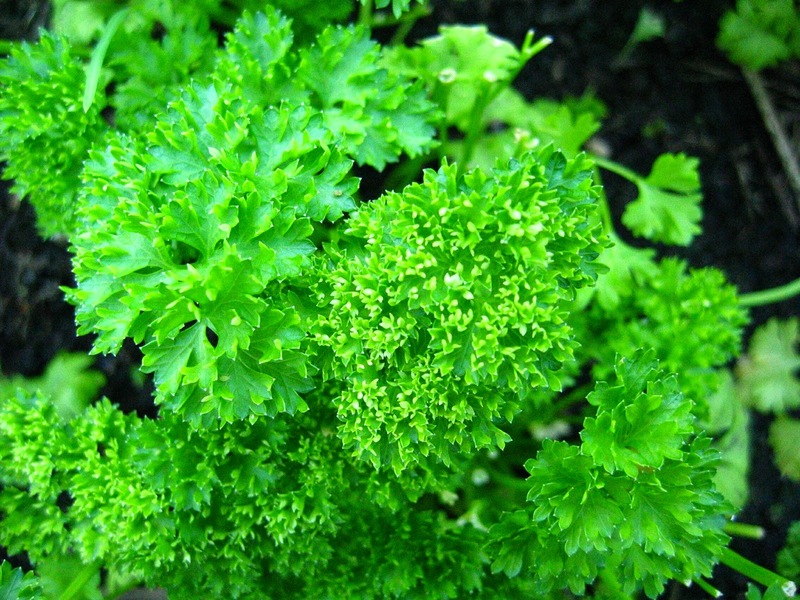 It's easy to confuse parsley with cilantro as they can look quite similar, but there's no mistaking that fresh parsley scent. 1. Chop off the ends of the malanga root and peel off the brown, coarse skin. Using gloves, scrub under running water until it’s mostly white and smooth. Finely grate into a large bowl, letting the natural moisture turn it into a wet paste. 2. Use a mortar and pestle to create a second paste from the green pepper, green onion, garlic, parsley, hot peppers, and chicken bouillon cubes. 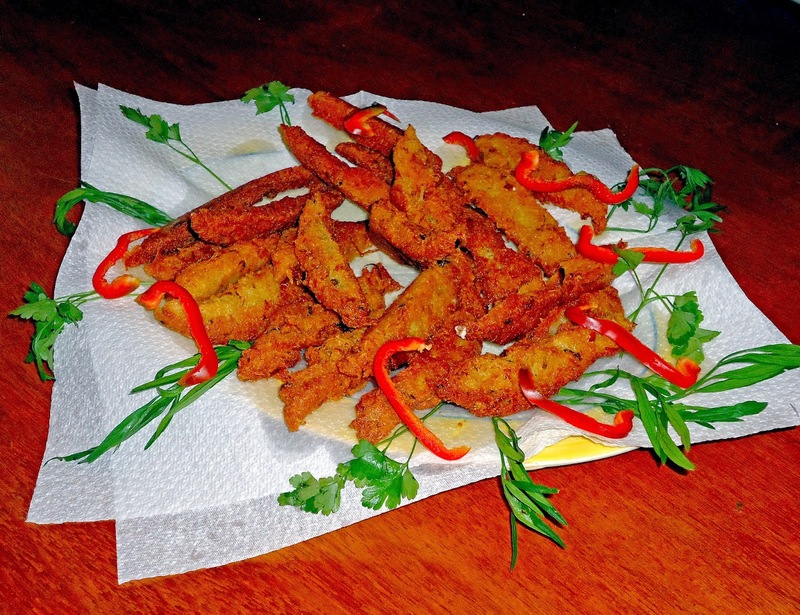 Mix with the malanga paste and add salt and hot sauce to taste. 4. Use a spatula to scoop ½” wide strips of the mixture and place into the pan until full. Fry for 3 - 4 minutes until the bottoms are golden brown. Flip until both sides are browned and then set on some paper towel. 5. Garnish with onion, parsley, and green and red pepper. Serves 20 people.